Our trip is activated every day and adapts to the needs of those who dress us. We cross the Uruguay River sailing on schools of Dorados (Salminus brasiliensis) and surubí (Pseudoplatystoma). 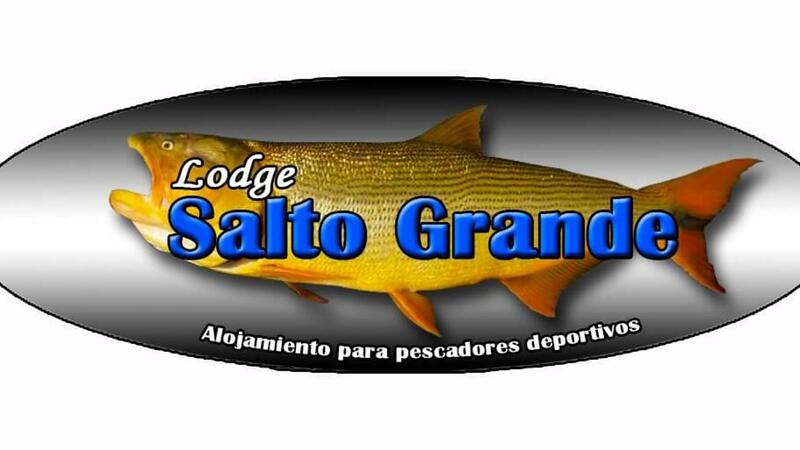 NOTE: The gold is sought in the waters of strong current where it stalks its prey; the ideal time is between May and August, although its strong presence is appreciable throughout the year in this area of ​​the Uruguay River. 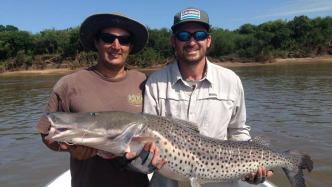 It is one of the main objects of sport fishing in Argentina, Brazil, Paraguay and of course Uruguay along with the different species of surubí (Pseudoplatystoma spp. ), And one of the most demanding prey of freshwater fishing in the world; exceeds one meter in length and exceeds 30 kg in weight, and the strong musculature that owes to its habitat, the river rapids of the region, make it difficult to capture. Our location is the largest fishing reservoir of these fish, in the world. Dorado or Surubí fishing in this area of ​​the world is practiced mainly in the form of fishing on board, with bottom bait or float. The bait can be artificial or live ... A typical lunch of our country, complete and enjoyable in a wild and natural environment, is interposed between the 4 hours of morning fishing, and the 4 afternoon hours. At night, the dinner gives continuity to the camaraderie, while the big fishing of the next day is designed. The rest is in a comfortable cottage, with TV, wifi, jacuzzi, Scottish shower, 9 single beds, and air conditioning in all rooms. The majesty of the Salto Grande dam gives a unique value to the night landscape of our lodge, where each day is unique and each sunset is an indelible memory.